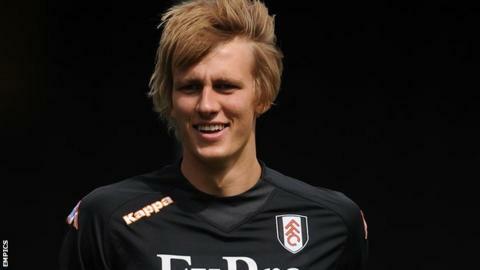 Yeovil Town have extended the loan deal of Fulham centre-back Dan Burn, keeping him at Huish Park until April. The 20-year-old first joined the Glovers on a youth deal in September and he scored on his debut in a 3-2 defeat by Preston. His loan spell has since been extended on two occasions. Fulham paid Darlington a six-figure fee for the 6ft 6ins defender in 2011, but he has yet to make a first-team appearance for the Premier League club. Burn's contract with Yeovil could be turned into an emergency deal following his 21st birthday on 9 May should the Glovers reach the play-offs. They are 10th in League One, three points off the promotion places.